This week is all about Frankie Manning! We’ll be heading out soon for NYC to join over 2000 dancers from around the world for Frankie 100. Everything culminates on Monday, Frankie’s 100th birthday and also the first World Lindy Hop Day. As Team Leaders for the Hellzapoppin’ Competition, we’ve already been busy with preparations and are happy to be participating in this sure to be amazing celebration. That’s not the end of our Frankie celebration! This year’s Beantown is a tribute and in honor of this most special person. Frankie was a big part of Beantown and we miss him dearly. The week will be filled with little pieces of Frankie as we remember, reflect and revel in his wonderful spirit and joy. Camp runs from June 26 to July 3 with multiple registration options. 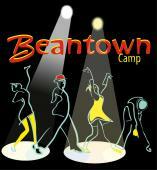 Register today for your dance vacation at Beantown Camp! Join the Beantown Camp 2014 Facebook event.